Amazing, Debra, simply amazing. I feel I could pick it up and try to take the knot out. 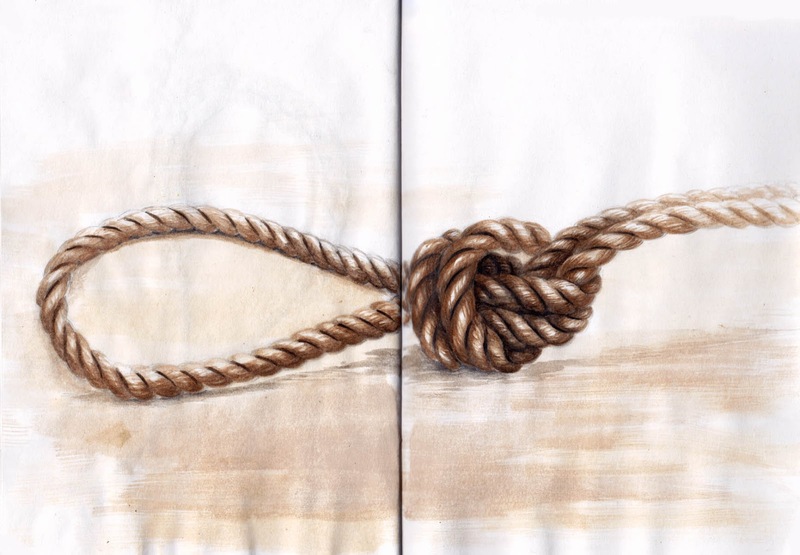 I am always amazed at how you draw ropes, this one is no exception. It seems that no matter what paper you use, you manage to create stunning pieces.